This stylish speakeasy is devoted to craft gin, housing 150 variants in its collection. From the dark wood interiors to the forest green leather panels, plush seating, and impressively stocked back-lit bar, the seductive atmosphere of The Back Room instantly transports one back to the “secretly” hedonistic ‘20s. 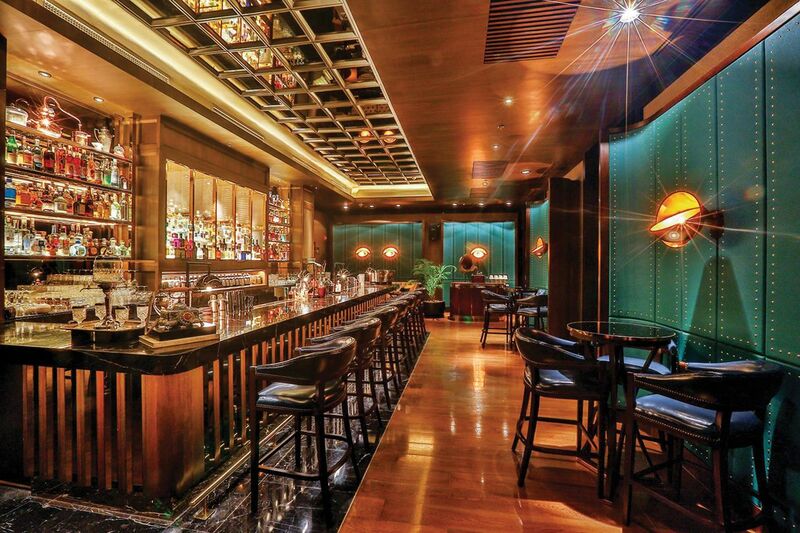 But what takes the speakeasy experience to the next level is the bar’s devotion to craft gin. Behind the bar, one can find over 150 variants of the spirit, with most of the selection not currently available in the Philippine market. The opening of a Lab within the bar is in the pipeline, which will eventually enable them to distill their own in-house gin. Shangri-La at the Fort’s Executive Mixologist Ulysse Jouanneaud, however, is particularly proud of the cocktail menu. His goal being “to conceptualise drinks that reflect the spirit of the Prohibition Era but are still exciting to the modern crowd.” The gin-, whisky-, and bourbon-based cocktails range from strong, audacious mixes to light, easy-to-drink libations and sophisticated, experimental concoctions that can also be served in a punch bowl to share. Always top-of-mind when it comes to having a good time (whether early or late in the eve), The Back Room has excelled in every aspect, from its unbeatable ambience (it never gets overcrowded! ), to its novel cocktail concepts, and its delicious bar chow. Here’s to always wanting to go back to The Back Room.